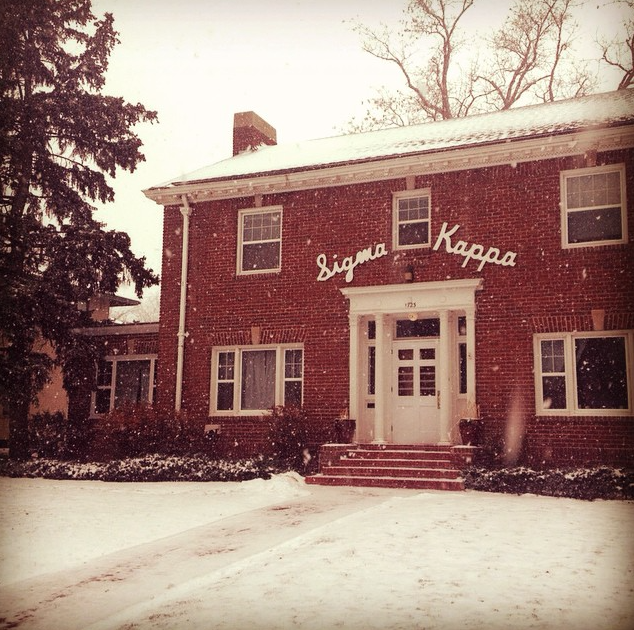 Sigma Kappa was founded at The University of Northern Colorado in 1950. We are lucky enough to call this red brick house, which is also a historical figure in Greeley, our home. Sigma Kappa has brought students at UNC together allowing them to create everlasting memories, and recruiting astounding women into our sisterhood. Currently our house allows 21 of our sisters to live in, giving them an opportunity to share this one of a kind experience. 2016 was a great and busy year for Gamma Alpha! Our chapter was awarded by Sigma Kappa Nationals as a one star chapter for 2016! Only few chapters nation-wide are recognized for this award. We also received an Excellence in Recruitment award from SK Nationals for our recruiting season of 2016. Also during the 2016 year, Gamma Alpha was recognized as a Silver chapter at UNC Greek awards. Gamma Alpha would not be the chapter it is if we did not have the wonderful women that we do.